Preheat oven to 350º F. Cream the butter and sugar, then add egg and blend. Add buttermilk and blend. Mix flour, cardamom, soda, and salt, and then add the mix to the creamed mix. 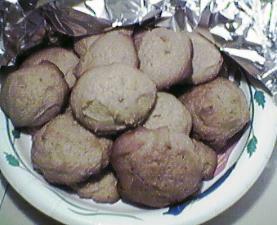 Roll 2 tablespoons of batter for each cookie, and put them on ungreased sheets, 2 inches apart. Bake for about 15 minutes. Cool on a rack.